MxHero, leading developer of email and cloud storage convergence technology, launches Email Sync as part of its Mail2Cloud Archive product suite. Email Sync allows users to copy messages directly from their email program to their cloud storage service of choice. This feature compliments enterprise class cloud storage file sync tools by extending the capability to the email environment. Messages can now simply be dragged to an email folder that will automatically copy messages to the cloud. Email Sync addresses a widespread need for team collaboration and selective archiving of important emails. The service is being readily adopted by varied functional areas, such as legal, finance, operations, engineering and other sectors where email is an important part of the business workflow. For example, a legal team member receives an important email from a client. 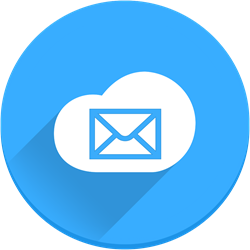 With Mail2Cloud Email Sync, the lawyer can now simply drag that email from her email inbox into a client specific email folder that is connected to a cloud storage folder. Once in cloud storage, the email can be shared using the rich and secure collaboration features provided by modern cloud storage services. Email Sync automatically converts emails into documents enabled for collaboration. As part of the sync process, the email message is converted into a PDF while any attachments are stored as files and the original email message is preserved. By converting the message to a PDF, the email becomes a document that does not require an email program to view. In addition, the PDF is indexed and readily searchable by the cloud storage search engine. Furthermore, links are added to the PDF that point to any attachments and to the original message stored in a standard format that can be opened by email programs. “We’re pleased to be providing Email Sync. Many organizations already use tools to sync files with their cloud storage services. However, emails are also often critical documents to the organization. By providing the ability to sync emails directly from the inbox to cloud storage is an important capability that helps organizations to fully maximize the benefits of the cloud,” states Alex Panagides, CEO of mxHero Inc.
Mail2Cloud Email Sync works with all email and most popular cloud storage services like Box, OneDrive, Google Drive, Dropbox, etc. In addition, the service is compatible with every device (mobile, desktop, tablet, etc.) and requires no software downloads or installations. For more information about mxHero’s Mail2Cloud Email Sync, please visit http://mxhero.com/lp/email-sync.